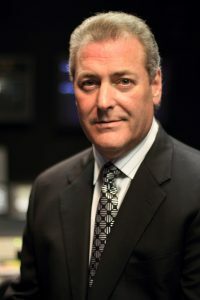 Semnox is pleased to announce that Mark Rossow has joined its Americas team as chief sales and marketing officer (CSMO). With over 25 years of diverse business experience from early-stage and start-ups to large public companies as an experienced C-Level sales, marketing and operational strategy entrepreneur with P & L responsibility, Rossow is expected to usher Semnox into a new era of growth and development.A skilled strategist and communicator, Rossow is known for his ability to spearhead large organizations globally. His talents have helped enhance partnerships while ensuring new revenue growth for industrial, technology, and media organizations. “It is my honor and pleasure to join Semnox and the storied group of entrepreneurs that in ten short years have made a significant impact in the field of debit card management systems,” said Rossow. “This is an exciting time to be a part of an industry that is experiencing unprecedented growth and to have this opportunity to work with such a fine group of operators around the world sharing Semnox’s award winning Parafait ecosystem for the out of home entertainment industry. With an effort toward continuous improvement, enhancing and developing cutting edge industry solutions, I look forward to working with Iqbal, Kiran, Bepin, and the entire organization of Semnox aligning and building upon an already successful global sales and marketing strategy,” he added. In his free time, Rossow enjoys working out, dining and traveling with his wife Lynne, watching the Cowboys and the Buckeyes, and raising their pet dog Zoe. “With the appointment of Mark, Semnox has taken yet another step towards consolidating its presence as a solutions provider in the US entertainment and leisure industry,” said Bepin Jose, president, Semnox (Americas). Rossow looks forward to meeting you at the Semnox booth at IAAPA 2018.